An investigation has revealed dozens of intellectually disabled Aboriginal people are being kept in prison indefinitely because of a lack of proper healthcare facilities. The ABC’s Lateline program exposed the case of 23-year-old Rosie Anne Fulton, who has spent the past 18 months in a Kalgoorlie jail without a trial or conviction after she was charged with driving offences. The magistrate in her case declared her unfit to plead because she is intellectually impaired – a victim of foetal alcohol syndrome. Her legal guardian, former police officer Ian McKinlay, says Rosie Anne ended up on a prison-based supervision order because there were no alternatives in the area at the time. “At the moment this outcome is almost entirely reserved for Aboriginal, Indigenous Australians,” he said. The Aboriginal Disability Justice Campaign says there are at least 30 Indigenous people in her situation around the country. 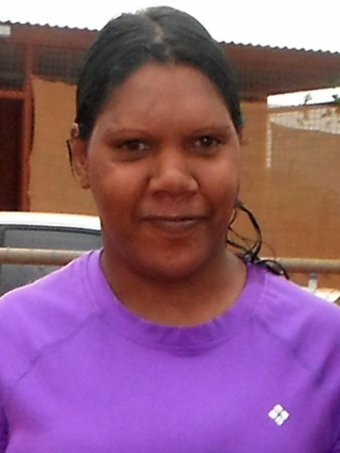 Mr McKinlay has been trying to get her moved to Alice Springs to be closer to her family. “She rings several times a week, sometimes twice a day, wanting to know when she is coming back to live in Alice Springs,” he said. Last year, the Northern Territory health department agreed to move Rosie Anne to a secure care facility built next to the Alice Springs prison. The centre was specifically designed to house people with intellectual disabilities and challenging behaviours. Mr McKinlay says he received repeated assurances from the department that Rosie Anne would be moved there last year. “They identified her as a prime candidate for secure care and they rejected any other form of service that guardians were advocating for pending the completion of this facility,” he said. But last month he received a new letter from the health department, this time rejecting Rosie Anne. The letter states that she is not compatible with the male residents staying at the centre. “From a clinical risk management perspective, the risks posed to Ms Fulton’s safety were she transferred to the facility are untenable,” the letter stated. A statement issued from the NT health department said secure care facilities were not gender specific. “The Department of Health always holds the health and wellbeing of clients as paramount,” the statement said. Mark O’Reilly, principal legal officer at the Central Australian Aboriginal Legal Aid Service, says some of his clients have waited in jail for an outcome for five years.